Not related to radio engineering, however, I’ve been doing daily radiation measurements at my house (upstate NY) since the Fukushima disaster. 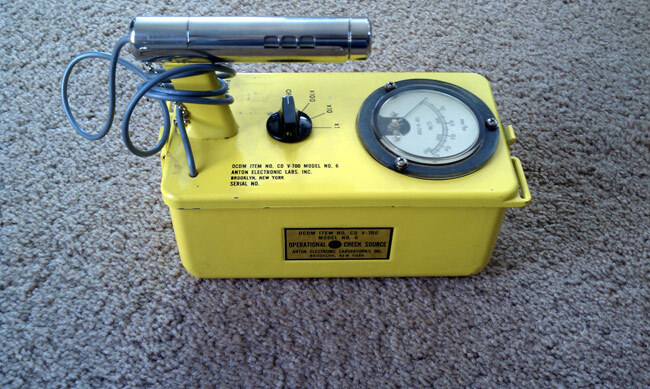 A few bits of house keeping information first: This is a CD V-700 radiation meter, which is a model 6 manufactured by Anton. It was last calibrated in 1986. When I place the Geiger tube over the operational check source, it goes up to about 2 mr/hr as described in the owner’s manual. It may not be completely accurate, but it is accurate enough for this experiment. As of March 28, 2011, the wind has shifted more to the south west and the levels have dropped somewhat. From our beloved press corps, there have been a few reports here or there on this, most with the standard “this is nothing to worry about” disclaimer. I have also noticed a series of stories and reports that radiation is not all that bad, don’t worry about it, living next to a nuclear plant is fun(! 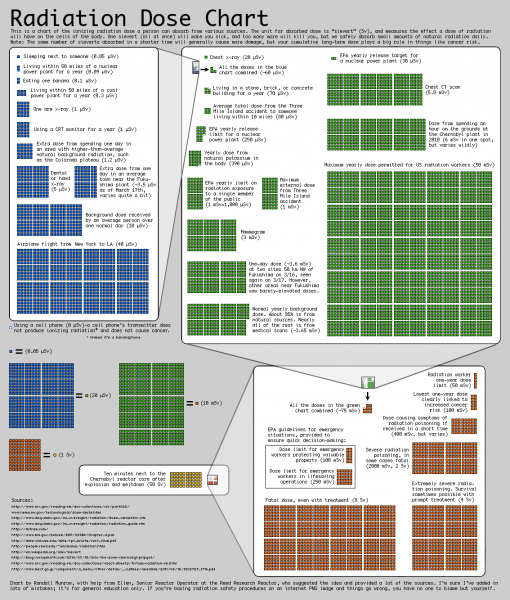 ), and we don’t know as much about radiation as we thought we did. I don’t know about all that, I’d rather base my opinion on the scientific body of evidence gathered over the last one hundred years or so. The conclusion of that information is that radiation is bad for human physiology and exposure should be limited. There is also a crowd source website called “Radiation network,” which is showing all the levels across the US are normal. This makes me wonder about their instruments and or candor, you can draw your own conclusions.